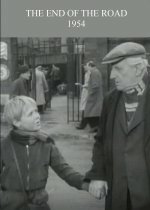 Sentimental drama starring Finlay Currie as a worker forced into retirement. An old man reaches compulsory retirement age, but causes chaos for his family with his refusal to give up working. It is only when he solves a tricky problem that they realise his vast experience is still required. Currie puts in a sterling performance.